The aerotenna link mentions apm, but not px4, same for their github repo. Chris - DOES (not 'could') this run px4? Woah, did Chris change the wording in the original article to include PX4? That seems sort of... wrong? I see the originator is maintaining a fork of APM so customers can compile and upload. But how are they supposed to do the same for PX4? I guess they would be on their own to port the software? Chris' copy-paste is probably broken, I think he has a virus in his PC that insert PX4 everywhere it sees APM. I'm advising them. When the product ships, PX4 support will be there. We recently started working on PX4 compatibility. The APM porting work is already done and in our repo as Auturgy mentioned. 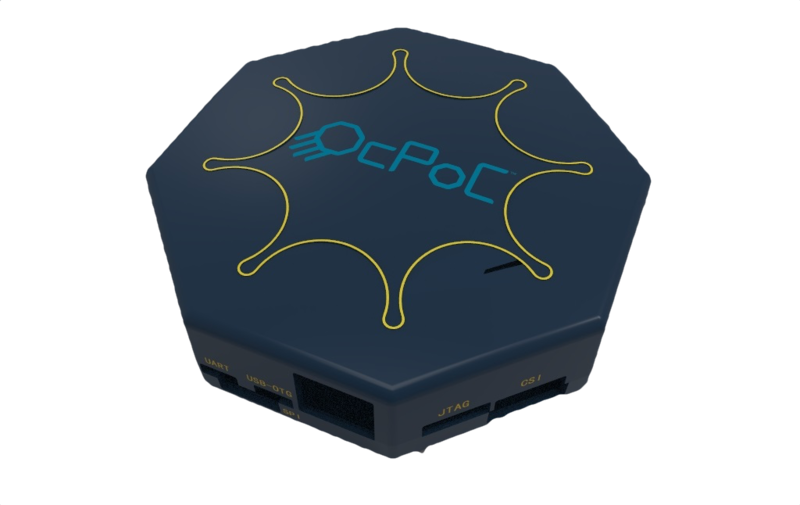 The goal for OcPoC is to introduce a FPGA SoC-based flight control platform that can integrate with popular open flight stacks. Which part of the flight controller is actually running on the FPGA? And how much does it save? Because at the moment I believe the main limitation is memory and not CPU time. So it still isn't compatible with PX4 but Chris is already advertising it is. Will the shipping be delayed if PX4 support isn't ready in time? Both the OcPoC™ with Altera Cyclone® mini SoC Flight Controller and the OcPoC™ with Xilinx Zynq® mini SoC Flight Controller appear as being in stock. Are they shipping yet? Do they have PX4 support already? Also, will you open pull requests to bring support for these boards to upstream or will you just leave it in your own repository? have seen this website for a while, but what's in the FPGA logic is the key selling point. Once a Japanese KS'ed a nano drone with flow positioning is failed, based on Zynq. I am helping indie developers doing hardware prototyping, setereo vision depth sensing will be built into FPGA logic for opencv depth map. i hope this project will be open enough to implement open IP and software stack. So basically it is running APM on the Zynq (or Altera cyclone) dual core Arm A9 and added the PPM & PWM FPGA library based on the ZYBopilot code developped 2 years ago? Why change "APM compatible (www.dronecode.org)" from the original source to "PX4 and APM compatible (www.dronecode.org)" . Deliberately misleading, and dishonest, since APM was booted out of DroneCode.